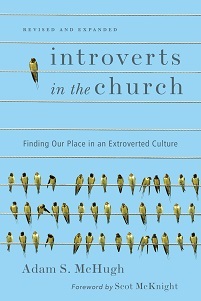 Leigh Kramer is in the middle of a fantastic series on her experience with Introverts in the Church. 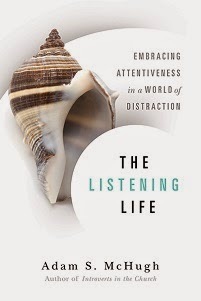 Her first post is a review of the book and a giveaway. In her second post she finally acknowledges publicly that she is an introvert. Her fourth post will be coming tomorrow on her blog, so be sure to check it out. And her third post she shares with us below. About the author: In May 2010, Leigh Kramer intentionally uprooted her life in the Chicago suburbs by moving to Nashville. She writes about life in the South, what God has been teaching her, and her ongoing quest for the perfect fried pickle. A former medical social worker, she recently fulfilled a childhood dream by writing her first novel. You can follow her adventures on Twitter and her blog HopefulLeigh. My eyes lit on the flowers resting under the mailbox as I opened the door to my apartment building. A thoughtful smile played on my lips in spite of my exhaustion. I'd had 45 minutes to think, cry, and pray on the drive home. Oh, and try to stay awake. I'd slept less than six hours the past two nights combined. But there they lay, a bright cacophony of color. I scooped them up and made my way to the silent apartment. My roommate was on vacation; there would be no listening ear, for which I was grateful. I had no words left. I turned the dining room light on but left the rest of the place dark. My bags around my feet, as I drew out the card from the envelope. My first condolence card. I sank in to the chair and read Becca's words of compassion over the loss of my grandmother18 hours prior. I had lost loved ones before but this was different. Only two months ago we'd buried my great-aunt Teresa, not knowing that Grandma was days away from her own cancer diagnosis. Teresa stayed under the care of the hospice (where I worked) for 9 months; Grandma lasted a little over a week. As I shepherded my family during those months, I had no idea that I would experience my role as a hospice social worker in a completely different light. Hundreds of people attended Grandma's wake and funeral. I stood in the receiving line with my parents and greeted family friends and second cousins. Each interaction bolstered me. These were people I knew and loved well. Then, every so often, I'd escape to the back room to breathe or sample a cookie. I prayed no one would ask how I was doing. A day or two later, I returned to work, helping others go through the very thing I'd just experienced. My role as a social worker was to be there for them. Because of that, I couldn't escape reminders of my own grief. The work days exhausted me, especially when insomnia kicked back in. Prior to this loss, my planner stayed full of activity: hanging out with friends, concerts, dance parties, and the like. Over the years I came to view a night home as synonymous with being disliked. As much as I benefited from time at home and curling up with a favorite book, those soul-restoring activities were limited to an hour here and there. When grief entered my life, I was already running on empty. All of that busyness no longer mattered. I took note of the friends that vanished now that I wasn't there to console them or plan the next party. Grief heightened my introversion. And so, I cocooned. I made it through each work day on a wish and a prayer. I'd stow the work laptop in my home office, then settle on the couch with a novel for the rest of the evening. I plowed through a book every day or two. I couldn't journal, my usual way to process. I literally couldn't write the words “Grandma died.” But I talked to my closest cousins and my Mom. Occasionally, I'd share with my closest friends. The hospice bereavement coordinator Peter kept tabs on me regularly. I'd tell him how sadness or anger manifested themselves and what I was doing to honor Grandma's memory. Each time, he'd sit and listen and then marvel at my self-awareness. I knew what I needed to integrate Grandma's death into my life, while also giving myself the time and space to do so. Every week my roommate or best friend would drag me out for dinner or coffee. At first, I resented it. But I came to appreciate the way they let me have my space while also loving me enough not to let me stay there. Over time, it took less convincing for me to leave the comfort of my apartment. Work became less draining. I processed the loss enough to share more of my grief experience with my friends. I learned to let others in to my in-the-moment pain and vulnerability. I grew comfortable with my need to stay home a couple of nights a week. In fact, taking time to myself helped me enjoy my relationships even more. Grief naturally changed me. While I wouldn't wish to repeat that time in my life, I have a better sense of who I am. And now I know I'm more introverted than I ever thought and that it's not a bad thing.